"Being passionate about filmmaking and music videos, we really wanted to make something that would be active whilst we have platform and peoples ears 'n' eyes. A song like We're Dead, which deals with the slow deterioration of our wellbeing, needs a call to arms. We approached Samuel Lewis, a very talented and compassionate animator, with the track and he immediately responded with a tailspin of thoughts regarding plastic and its impact on us all. It was a perfect fit." 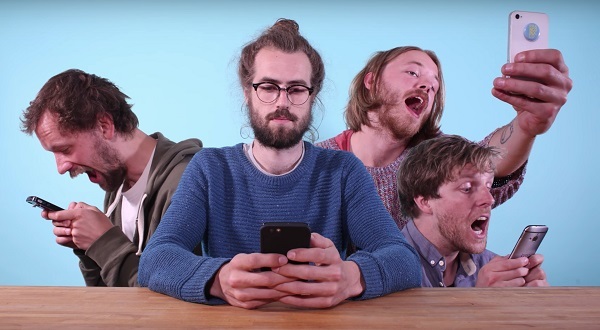 "As a band of anxious cynics and surfers, we are concerned that we are all satisfied thinking that putting things into recycling bins is 'job done'. Us the consumer could reduce our demand for products, but when are we ever going to do that? We love stuff! Can't get enough of that good good stuff. It will take a massive shift in environmental policies at the top and a willingness to not profit from something to help us all help ourselves. Like your mother kicking you out and into nature away from Heroes of Might & Magic 3. It's hard. But for the best. This is our attempt to raise awareness and join campaigners who we admire for their ceaseless work in trying to slow down our circling of the cosmic drain." 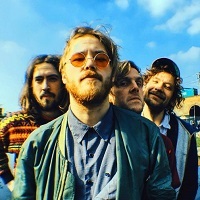 The Swedish indie band, now based in London, will play a free show in their new home city on July 12 at the Old Blue Last, following which they will perform at Latitiude Festival. They will also appear at Hungary's Sziget Festival on August 8 and Frequency Festival in Austria on August 16.